Sikkha BD Sikkha BD is the Latest Education Portal. We committed ourselves to provide all information about education and job circular. How to check own mobile number? 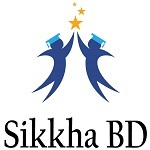 Sikkha BD is the Latest Education Portal. We committed ourselves to provide all information about education, job circular.